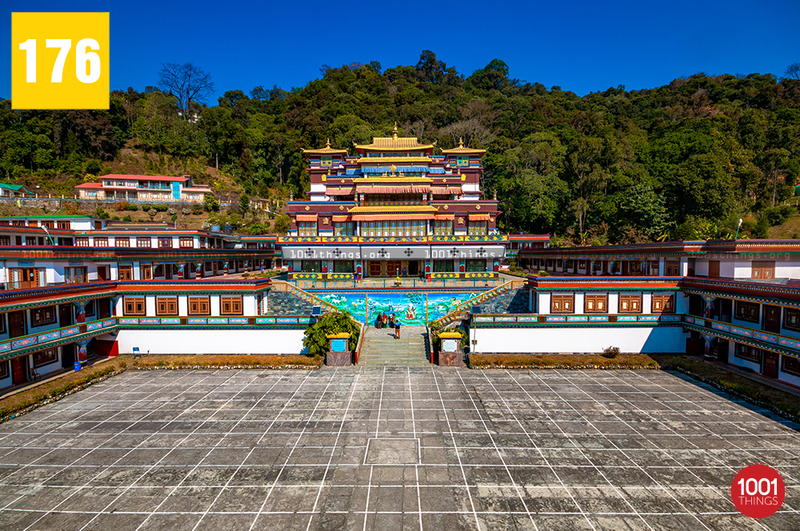 Lingdum Monastery Sikkim, also generally known as Ranka Monastery. 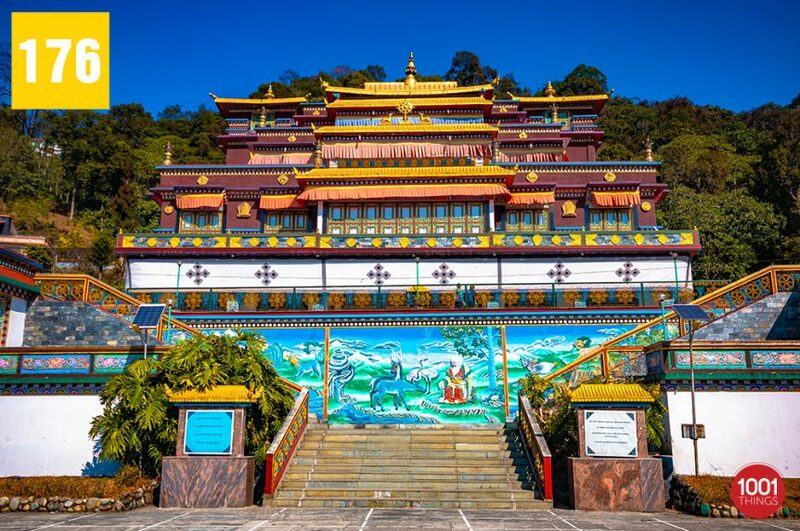 Lingdum Monastery, also generally known as Ranka Monastery and Pal Zurmang Kagyud Monastery is located at Ranka at an approximate distance of 20km from Gangtok – the capital of Sikkim. Inaugurated in the year 1999, the monastery is constructed in a spacious and scenic area. 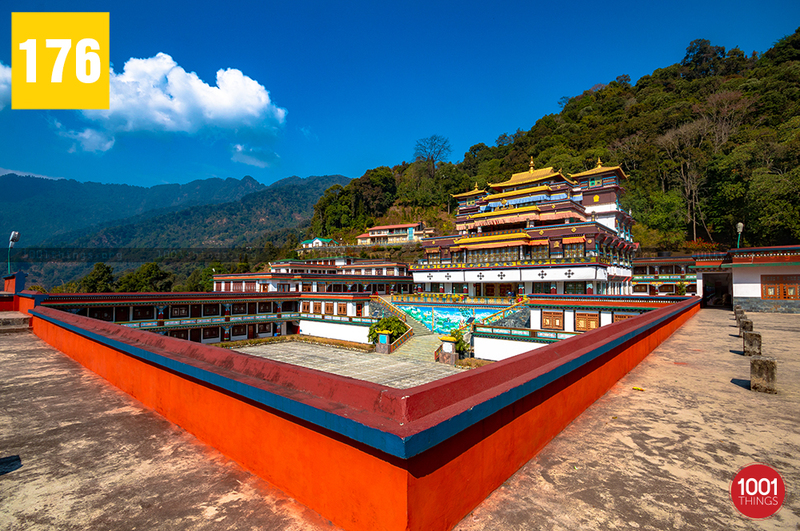 Lingdum Monastery is recommended for the peace-seekers and those that are in search of the aesthetic beauty. 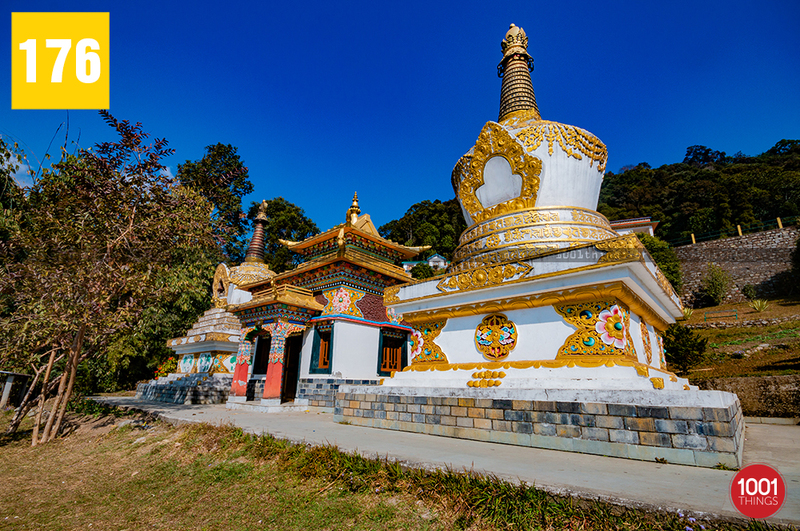 Bordered by the greeneries, Lingdum Monastery is considered one of the most beautiful monasteries in East Sikkim. The monastery is reached from an hour’s drive from the main city. Built in the late 90s, Lingdum Monastery does not bear much historical and legendary value to be highlighted or talked about, unlike the ones that are built in the 17th and the 18th centuries. Lingdum Monastery or Ranka Monastery is established in the Tibetan Architectural style and holds great importance as a place of worship. The monastery is also a training centre for young and novice monks. Lingdum Monastery follows the Zurmang Kagyud lineage of Buddhism under the guidance of the 12th successor of the lineage Zurmang Gharwang Rinpoche. Located remotely from the bustling city, the visitors can enjoy eye-catching views of the surrounding regions in a peaceful mood. 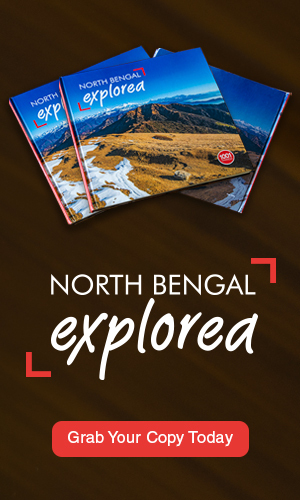 A river called “Re Khola” rustles swiftly nearby, which further enhances the charm of the monastery. The river eventually joins with Rani Khola to become as one with it as soon as it crosses the monastery. 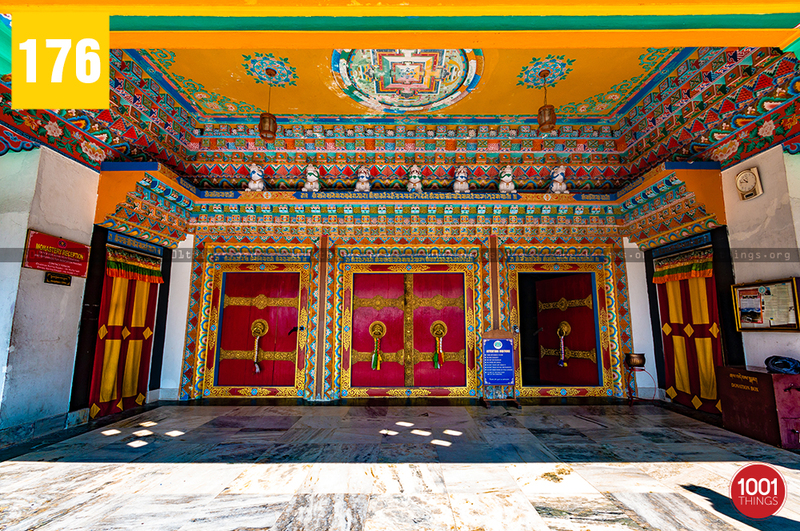 If you love the diversity of the cultures, then you should certainly visit the monastery before or during the Losar. 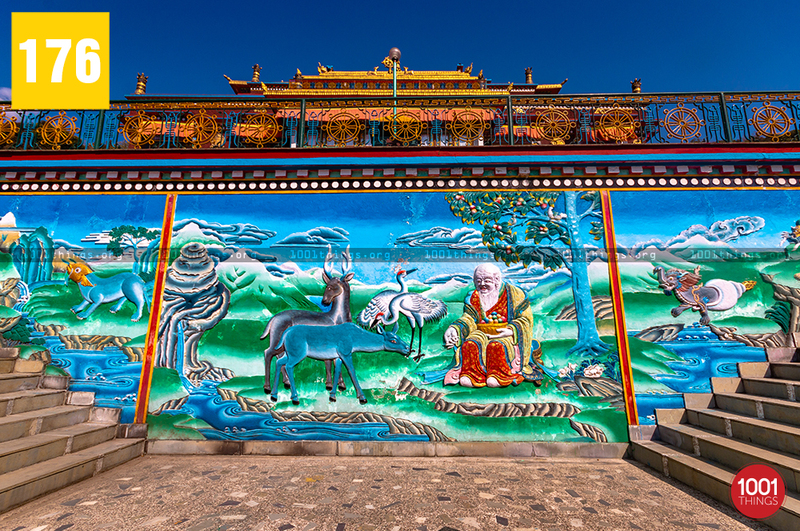 Adorned with the colorful symbolic frescoes or paintings, the monastery brightens up at its utmost appeal. The most extraordinary peculiarity of the monastery is the exotic mask dance performed by the monks dwelling here. Apart from the merrymaking and celebration, the mask dance is even performed to invoke the deities. It also reflects much more about the traditions and doctrines of the Buddhist sect. The vibrancy of the mask dance is bound to impress even the non-religious travelers. To reach the monastery, you can choose from a wide range of vehicles lining up in the car park. It’d be quite a fascinating sight to see crimson-clad monks spreading in the vast courtyard of the monastery. If not, the echoing Buddhist chants will simply make you forget about the bustling world that exists. If you have a knack of astounding photography, you certainly should take a few pictures with them. Travelers are allowed to explore almost every part of the monastery. Inside the prayer hall, you will find a huge statue of Buddha. 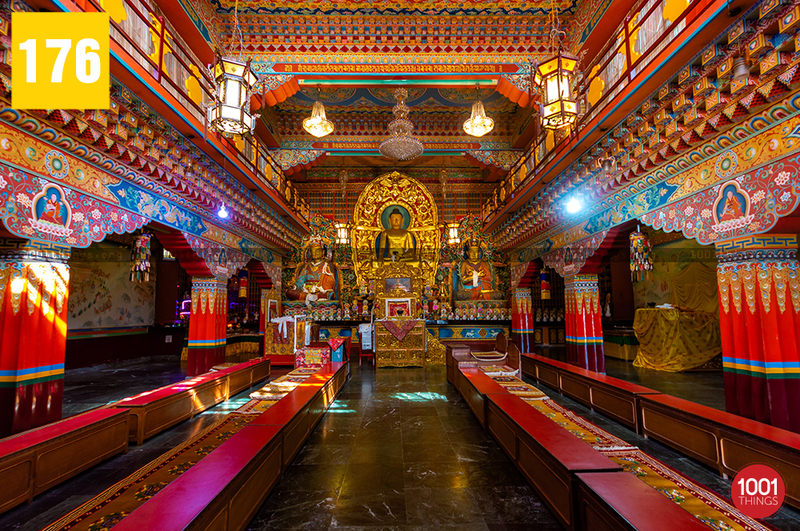 The walls decked with thangkas and intricate hand made paintings, rows of low tables where monks recite their chants and religious books. There is no entry fee for entering and exploring the monastery. However, donations are accepted by the monastery. A wooden donation box is placed at the entrance of the prayer hall. The monastery remains open to visitors from early morning till dawn.